Posted On September 26, 2017 by Team iCynosure. EverBank Field in Jacksonville, Florida, is one of the top tailgating stadiums in the country. The mild Florida weather means fans can cook out and cool off throughout the football season while other parts of the country are snowed in. 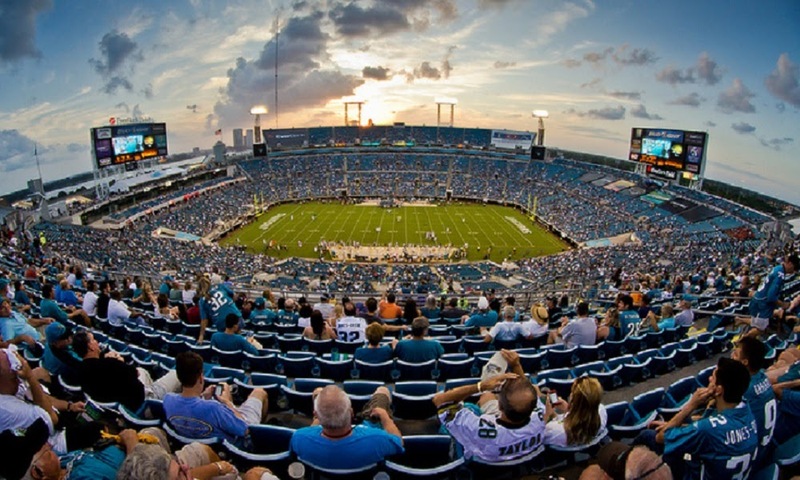 EverBank Stadium is home to the Jacksonville Jaguars and can seat almost 70,000. Along with the Jaguars NFL team, EverBank Field hosts college games throughout the year - like the UGA-UF rivalry game - and events and concerts for Jacksonville residents. Florida can get hot - especially in the summer - so visitors can also stop by the Sea Best Cool Zones with fans, air conditioning, and mist to escape the sun before returning to watch their team score a touchdown. If you're planning a trip to Jacksonville to watch a Jaguars game, consider staying just outside of Jacksonville when you visit. Jacksonville Beach, Neptune Beach, and Atlantic Beach are all close by (typically a 30-minute drive), which means you can stick your toes in the sand and catch some waves before cheering your team to victory! Whether you're cheering on your favourite football team or catching a concert, there are plenty of activities around EverBank Field. Getting to the stadium and finding accommodation is fairly easy, which means you will have more time to enjoy the game or event during your stay.